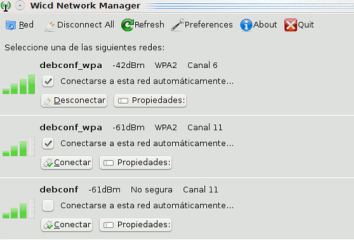 WICD allows one connection (either wired or wireless) at a time on Ubuntu 10.04. Thats the only issue I found with it so far. I don’t have a wireless or wired connection in Ubuntu Studio 10.10. I’ve started Synaptic with terminal and I have “all” and “wicd” in left pane but the right pane is blank.